Prior to participating in a session, you should ensure that your audio is configured correctly. 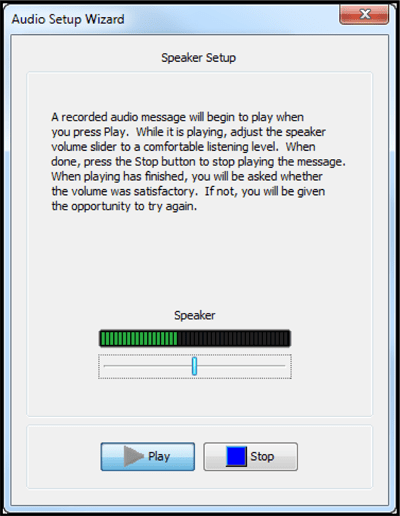 Audio settings can be configured using the Audio Setup Wizard. 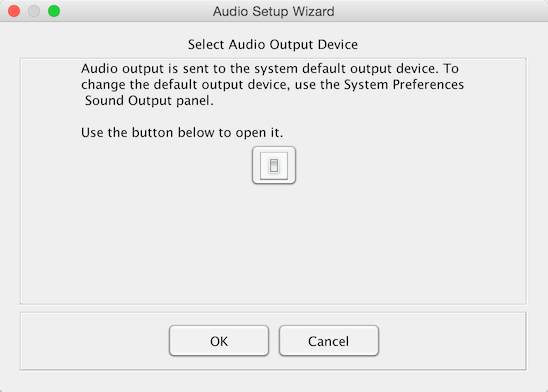 Open the Audio Setup Wizard by clicking the Audio & Video menu and clicking Audio Setup Wizard. 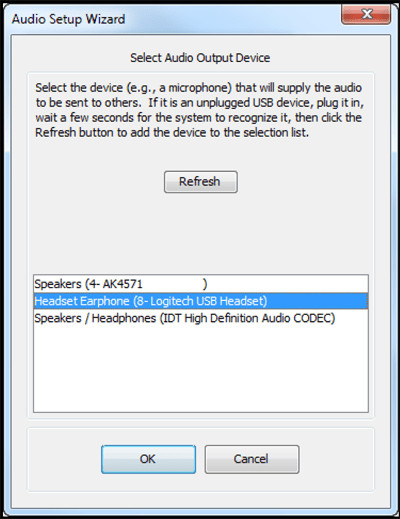 From the Select Audio Output Device dialogue, choose the device that will play the session audio e.g. speakers and click OK. If you are using a Mac and wish to use different devices to the default see the instructions below. Click the Play button and adjust the volume slider so that you can clearly hear the pre-recorded message. Click Stop and then Yes to confirm you were able to hear the audio. If you were not able to hear the audio, click No and repeat the previous step. Select the device you will use to send your audio during the session e.g. 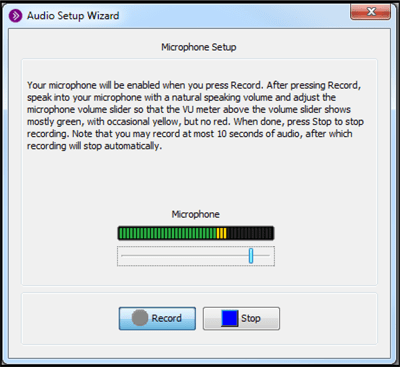 microphone and click OK.
Click Record and speak into the microphone using your normal speaking voice. Adjust the microphone slide bar so that it displays green bars with an occasional yellow bar. Red indicates that your audio is too loud or you microphone is too close to your mouth. Click Play and confirm you can hear your recorded voice. You are now ready to participate in the audio portion of the session. If you wish to use a different device from the system default follow these steps. 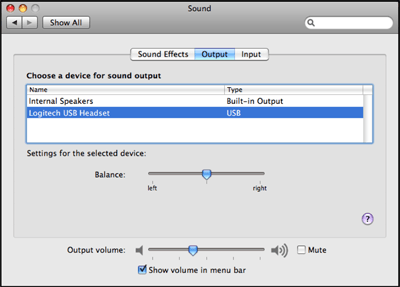 button to open the Sound Preferences panel. 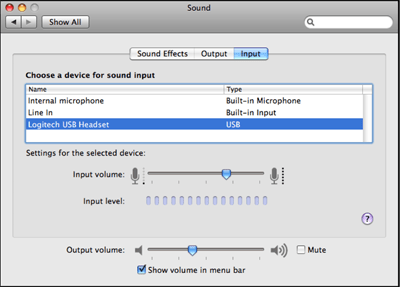 The Sound preferences panel has a screen for audio output and a screen for input. Select the desired device for Output. Select the desired device for Input. Now go back to Step 3 in the instructions above.